Mustache Wallpaper by Wallcandy (WCWPMUST) at Pure Design / Accessories / Wallpaper ::: Furniture for the Home, Office, Home Office, and More at Pure Design Online! 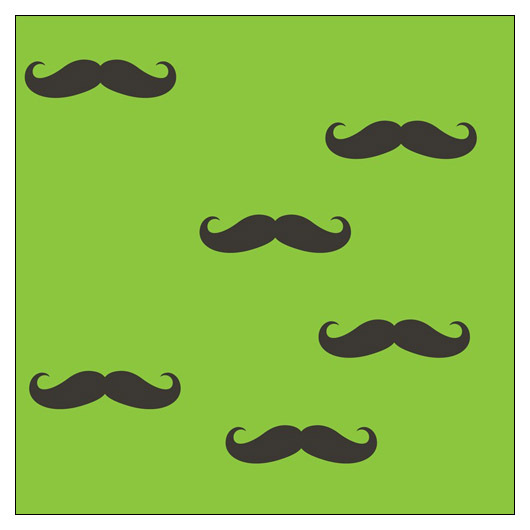 A Pure Design favorite ,,, well-groomed mustaches on a bright breen background! The kit includes four rolls of restickable vinyl wallpaper and a squeegee for easy application.